Note: The experience described below is specific to Office 365 and G Suite. You will need to consult your application vendor in order to discern whether this experience is the same for your SSO application. 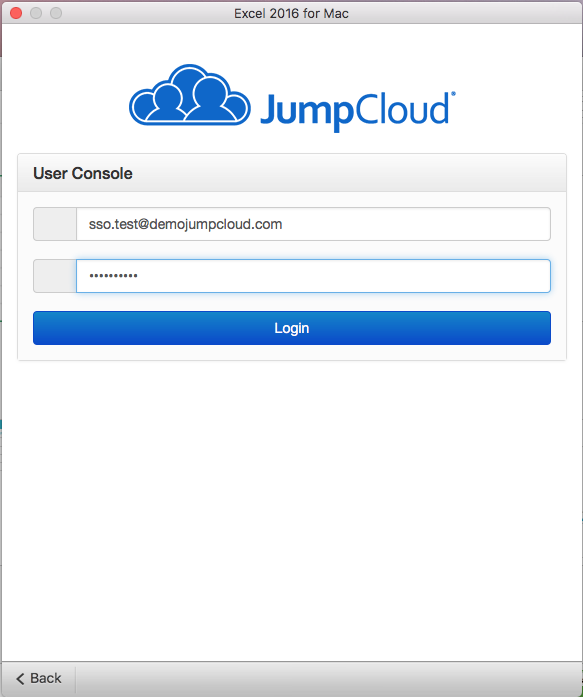 Users will be redirected to JumpCloud from the application in order to enter their JumpCloud Credentials as shown below. 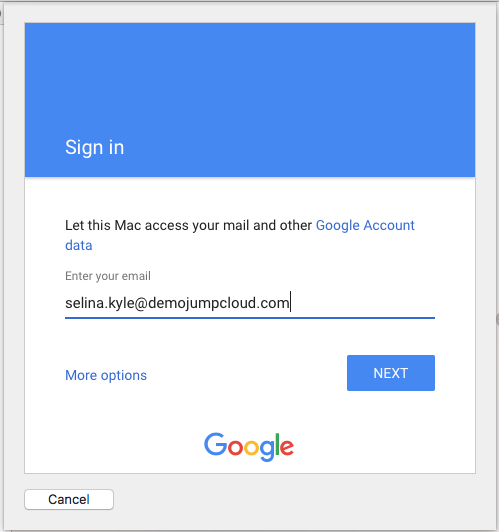 Once a user selects Google for authenticating their mail client, they will be then be redirected to JumpCloud to complete their authentication. 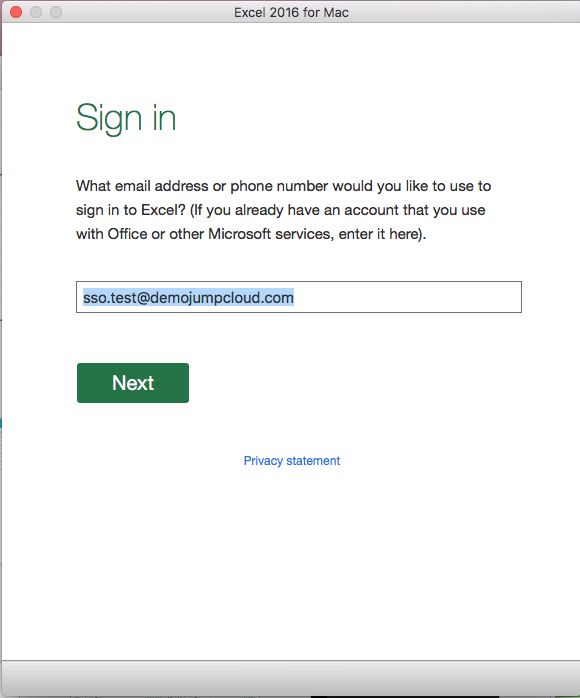 Note: Office 365 SSO functionality is limited for the mobile mail client to the web browser at this time. 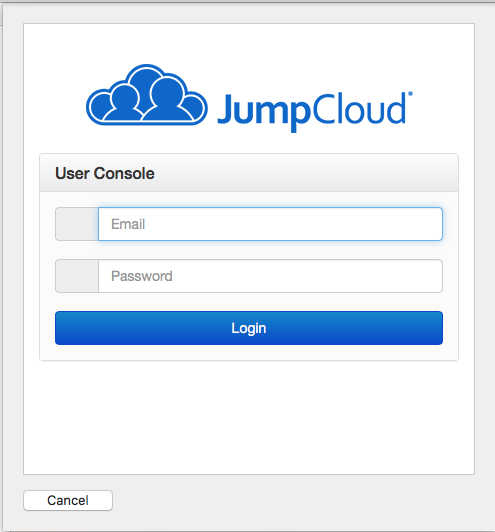 Users are redirected to JumpCloud directly from the application to enter in their credentials.